Below you fill find all funeral homes and cemeteries in or near Ulster. Ulster is also known as: Ulster Township, and Pennsylvania. Zip codes in the city: 18850. 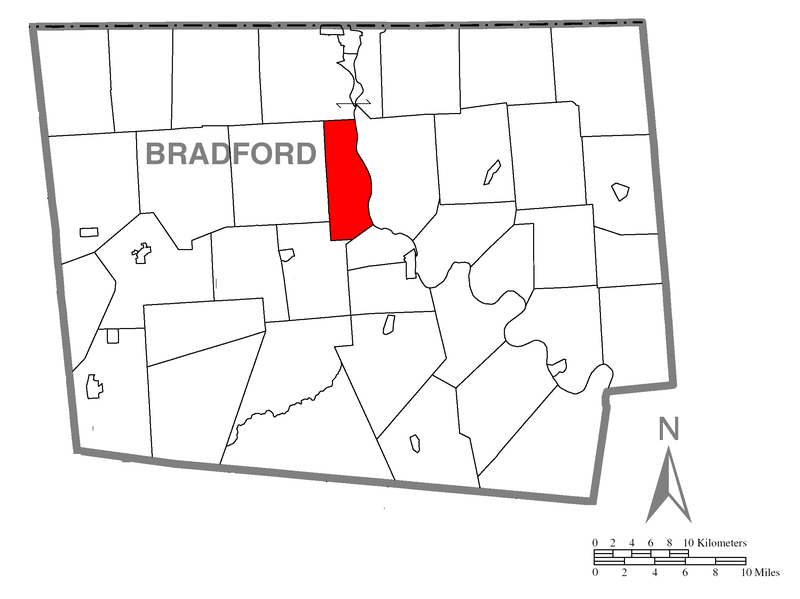 Ulster Township is a township in Bradford County, Pennsylvania, United States. The population was 1,337 at the 2010 census.It was named after the province of Ulster in Ireland. It was written by Morning Times on April 22nd, 2013 that Richard D "Rick" Haggerty died in Ulster, Pennsylvania. Haggerty was 53 years old and was born in Barton, NY. Send flowers to share your condolences and honor Richard D "Rick"'s life. It was reported by Morning Times on April 10th, 2013 that Shirley Ruth Watkins (Lane) died in Ulster, Pennsylvania. Ms. Watkins was 84 years old. Send flowers to share your condolences and honor Shirley Ruth's life. It was reported by Morning Times on January 18th, 2013 that Perl Arthur Shores passed on in Ulster, Pennsylvania. Shores was 95 years old. Send flowers to express your sorrow and honor Perl Arthur's life. It was written on January 15th, 2013 that Rebecca Anne "Becky" Hopkins (Young) passed on in Concord, California. Ms. Hopkins was 56 years old and was born in Ulster, PA. Send flowers to express your sympathy and honor Rebecca Anne "Becky"'s life. It was disclosed by Morning Times on April 24th, 2012 that Joanne Bidlack (Chapman) died in Ulster, Pennsylvania. Ms. Bidlack was 49 years old and was born in Johnson City, NY. Send flowers to express your sorrow and honor Joanne's life. It was written by Morning Times on April 24th, 2012 that Joanne Bidlack (Chapman) died in Ulster, Pennsylvania. Ms. Bidlack was 49 years old and was born in Johnson City, NY. Send flowers to express your sorrow and honor Joanne's life. It was reported by Morning Times on February 8th, 2012 that Diana Coralee Smith (Lenox) passed on in Ulster, Pennsylvania. Ms. Smith was 69 years old. Send flowers to share your condolences and honor Diana Coralee's life. It was written by Morning Times on October 8th, 2011 that Gracemary Alger (Evans) died in Ulster, Pennsylvania. Ms. Alger was 96 years old. Send flowers to express your sympathy and honor Gracemary's life. It was revealed by Morning Times on September 28th, 2011 that David L Chilson died in Ulster, Pennsylvania. Chilson was 55 years old. Send flowers to share your condolences and honor David L's life. It was revealed by Morning Times on September 28th, 2011 that David L Chilson died in Ulster, Pennsylvania. Chilson was 55 years old. Send flowers to express your sympathy and honor David L's life. Ulster Township is a township in Bradford County, Pennsylvania County, Pennsylvania, United States. The population was 1,340 at the 2000 census. . . .
Lowery Funeral Home, 225 S. Main St ... Bradford County Humane Society, P.O. Box 179, Ulster, PA 18850, or please donate to the: Spaulding Library, 724 S. Main Street, Athens, PA 18840, or Towanda Rifle & Pistol Club, P.O. Box 341, Towanda, PA 18848. He made his home in Allentown, PA After several years with U ... Interment of his ashes will be in St. Michael's Cemetery in Ulster Heights, NY. Arrangements are under the direction of the VanInwegen-Kenny, Inc. Funeral Home of Monticello. Bowen, James A - Bowen-Farr Funeral Home, Ulster, PA : Reviews and maps - Yahoo! Local, 570.358.3456. Get Ratings, Reviews, Photos and more on Yahoo! Local. Best of Ulster, PA. See the top-ranked businesses in Ulster, Pennsylvania as voted by local users. Ratings, reviews, comments & more! We work with local florists and flower shops to offer same day delivery. You will find budget sympathy flowers in Ulster here. Our funeral flowers are cheap in price but not in value.